Think meditation is just about sitting still, quieting the mind and focusing on the breath? Well, yeah, it can be, but there are tons of other types of meditations out there, too. Meaning there’s literally something for everyone! 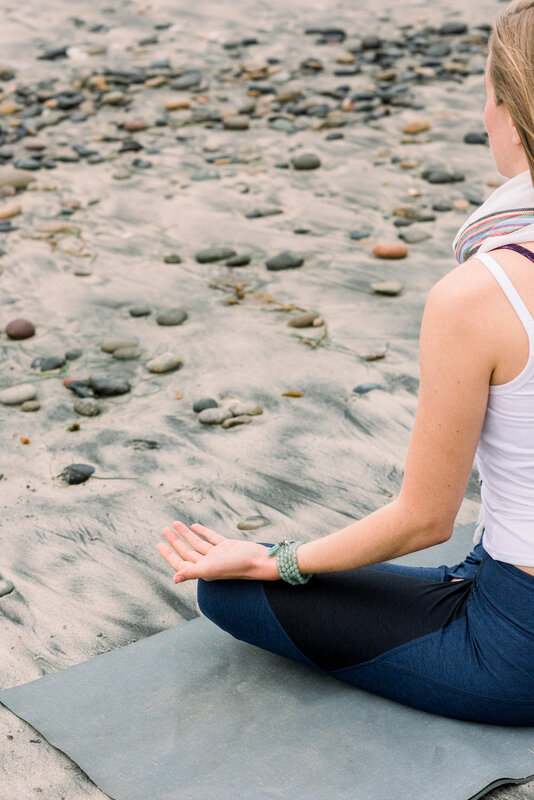 Here are just 10 of our favorite forms of meditation. Try them all and see what works best for you. One of the most popular meditations today, mindfulness meditation is adapted from the teachings of Buddha. It's a combination of awareness and deep concentration, in which you're mindful of all sensations, thoughts, feelings and emotions that come up during meditation, without passing judgment on them. This form of meditation is all about noticing what happens during your meditation rather than pushing those things away. Mindfulness meditation is shown to reduce depression, stress + anxiety, and helps you get to know yourself more deeply. This type of meditation is especially close to our hearts (the word “mantra” is in our name, after all!). And it's exactly what it sounds like: meditation using a mantra. In mantra meditation, you repeat a specific mantra or affirmation, and repeat it throughout your practice, with the goal of clearing your mind and allowing those affirmations to take root in your heart + soul. This type of meditation helps you to create deeper awareness and a stronger connection to positive qualities like compassion, generosity + confidence. Fully focusing on the mantra also keeps your mind from wandering to other thoughts or distractions. Want to learn more about how to use your mala beads for mantra meditation? Click here. Also known as Metta Bhavana, this meditation is designed to help you develop greater compassion for yourself and others. And it isn’t just limited to love for yourself, friends + family, but for all living beings the world over. Loving Kindness meditation helps you develop empathy, tenderness + warmth for others, and softens the heart + mind. Begin by finding a quiet place and relaxed, comfortable position. Focus your breathing and attention on the heart center, generating a kind feeling toward yourself through your breath and affirmations such as "May I be happy. May I be safe. May I be healthy." Next, radiate these feelings + affirmations outward to someone you love, saying "May she/he be happy. May she/he be safe, etc." Repeat the process with someone you have neutral feelings toward, then someone you have difficult feelings forward. Finally, extend this loving kindness to all beings, saying "May all beings be happy. May all beings be safe. May all beings be healthy," and so on. Similar to mindfulness, this technique involves focusing on a single activity and resisting the urge to multitask. You can do it while eating breakfast, folding laundry, brushing your teeth, cleaning dishes—whatever it is, make sure you’re focusing all your thought and energy on that single task, noticing the smells, sounds, sights and feelings of that activity without getting distracted by your phone, pets, thoughts or other tasks. This type of meditation is meant to align one (or all) of the 7 chakras. It involves tuning into each of these spiritual energy centers, using breathwork and visualization to help clear any energy blockage and bring that chakra back into alignment for greater well-being. Each chakra has different meditative needs. For example, outdoor meditation is especially useful for the root chakra, which represents your connection to the earth and the ability to stay balanced, grounded and centered. While many types of meditation encourage you to stay in one position while practicing, walking or movement meditation is all about motion. This type of meditation requires you to stay present in your body while in motion, noticing the way your muscles move, how your weight shifts, the feeling of sweat rolling down your forehead, the way your heart beats faster and your breathing becomes shallower. The best part: It can be done during pretty much any activity, from running and dancing to gardening or practicing yoga. This subtype of movement meditation connects the mind, body and spirit, integrating posture, movement, breathing techniques, self massage, sound and focused intent to help improve your mental and physical health. It began more than 5,000 years ago as the core of Chinese medicine, and has made its way around the world in recent decades. Often known simply as TM, this form of meditation has more than 6 million practitioners around the world. It was brought to the West in the 1950s by Maharishi Mahesh Yogi. Typically practiced in two 20-minute sessions each day, transcendental meditation is meant to help you achieve higher levels of consciousness and access the level of your mind that’s already peaceful, calm, silent and wide awake. Benefits of TM include decreased stress, a calm nervous system, lower cholesterol, increased intelligence, improved productivity + more. This form of meditation involves calling to mind a particular vision, landscape, feeling or situation and meditating on it to find peace and calm. It helps you make use of the creative side of your personality in order to cultivate positive change + transformation. At the heart of Zen practice, Zazen Meditation is type of the study of the self, with the ultimate goal of achieving enlightenment. It involves seated meditation on the ground, with the knees touching the floor (so you typically need some type of meditation cushion) and a straight, centered back that allows for deep breathing. The breath is the central focus, and the entire practice revolves around it.